This project consisted of testing tubes for a client. The tubes came from Europe and were manufactured during the end of the Cold War. With the tubes being used in a cathode bias (self bias) amplifier, it was important to match the tubes as closely as possible. 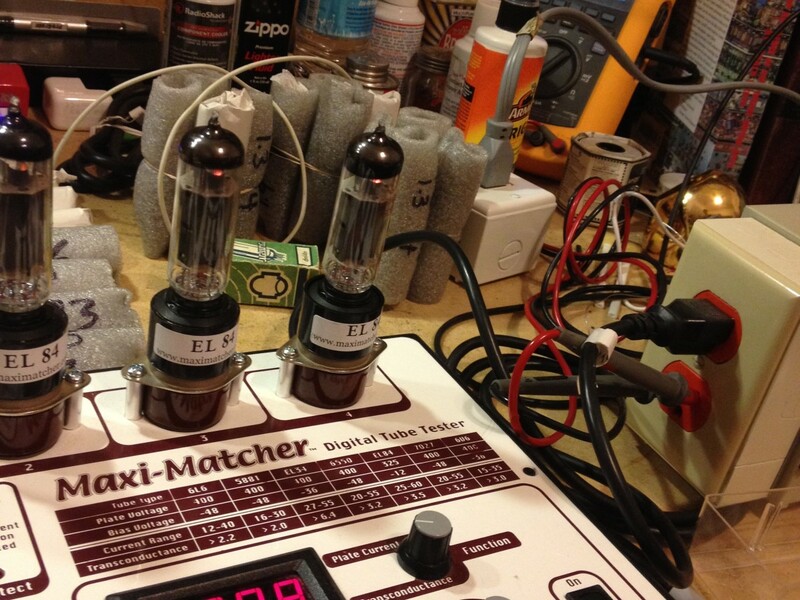 Each tube was tested on the Amplitrex AT1000. The testing was repeated until the test results displayed the same reading 3 times. 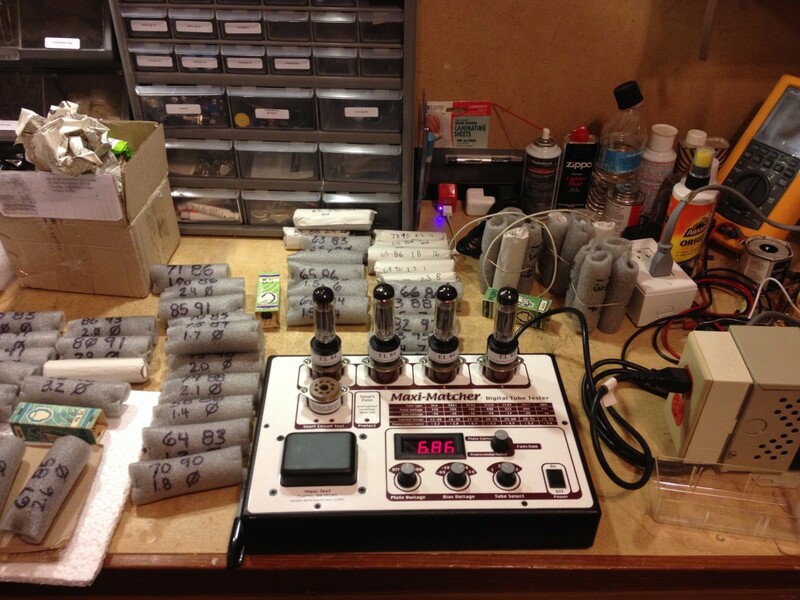 The test results for each tube were recorded and compiled for matching the power tubes into sets. 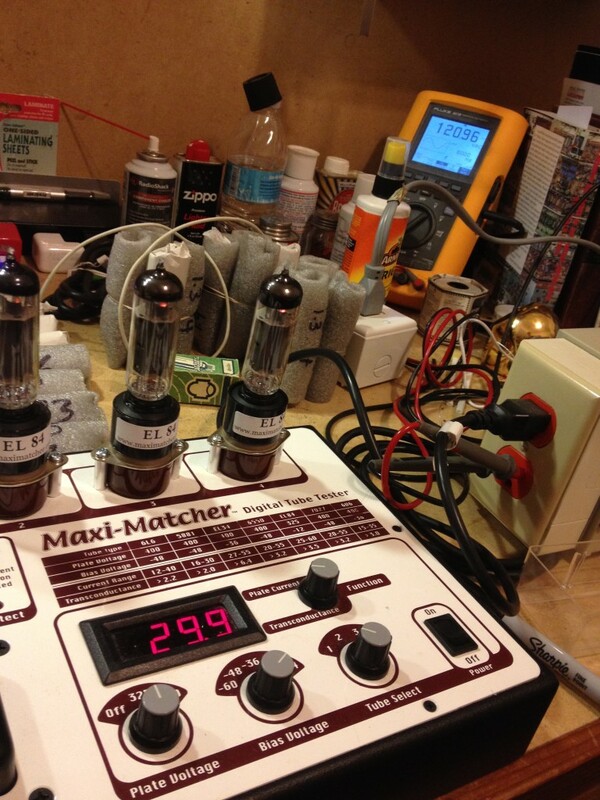 After the power tubes were confirmed to be free of gas and leakage, they were again matched and graded on a Maxi-Matcher custom test set consisting of adaptors (as needed) as well as a second CVT (constant voltage transformer) used to keep the incoming A/C power from changing the test results. A fluke digital volt meter is used to confirm A/C power stability within 1/10th of an ACVolt. This combination of testing and matching ensures that the tubes are free of defects and issues as well as a stable match under working conditions. During testing on the Amplitrex AT1000, each tube was checked for emissions, GM (transconductance), mA gas, heater to cathode leakage, and microphonics (both into a scope as well as monitored audibly). The result from such extensive testing is an amplifier that sounds its very best.